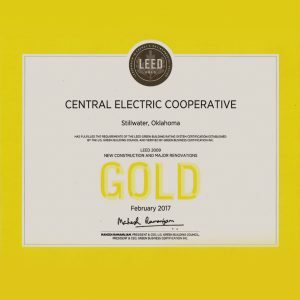 Central Rural Electric Cooperative achieves Gold LEED Status! 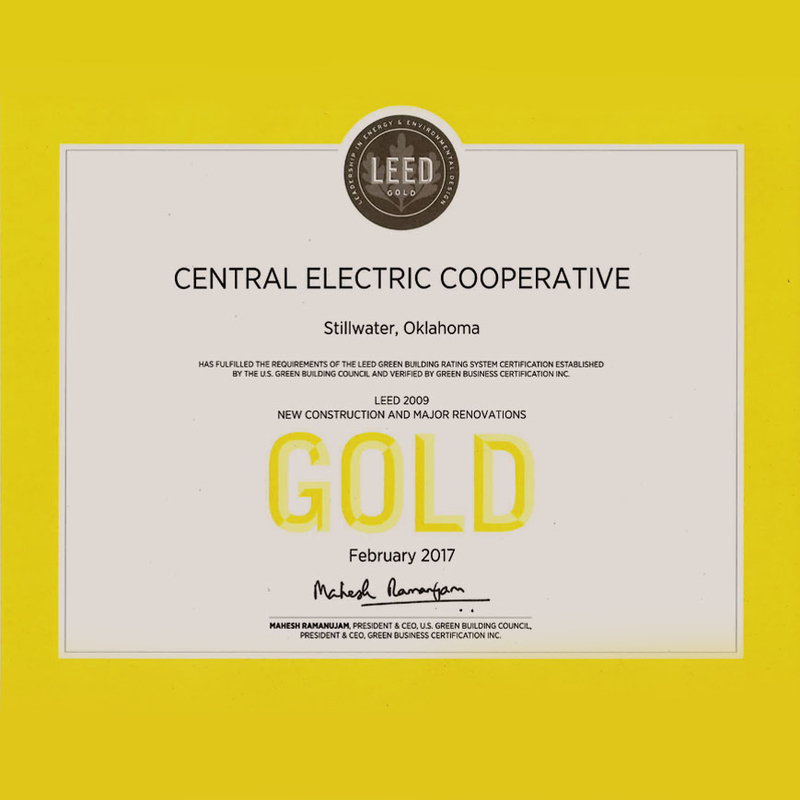 Central Rural Electric Cooperative achieved Gold LEED Status. LEED (Leadership in Energy and Environmental Design) certified buildings promote renewable, clean energy, resource efficient, and have a positive impact on the environment and health of occupants, while also saving money. You can also learn more about LEED certifications at http://usgbc.org/leed.